Ollantaytambo is a small town and an Inca archaeological site in southern Peru to 72 km (45 mi) by road northwest from Cusco. (2,792M/9,160 ft) A.S.L. Cusco region, dates from the late 15th century and has some of the oldest, continuously occupied dwellings in South America. Ollantaytambo Full Day Trip, an exploration its less crowded areas and hiking on waterfalls, Tunupa mountain,urban ancient houses, Ollantaytambo site, or interaction with quechua people, Ollantaytambo Full Day Trip route is to not only fulfil a craving for adventure, but to understand a history, building of a great empire. Ollantaytambo Full Day Trip, Tucked in and between the Andean mountains the views – they are worth it, for every strained inhale there is a moment to reprieve to make up for it. in recent years it has become a destination in its own right. 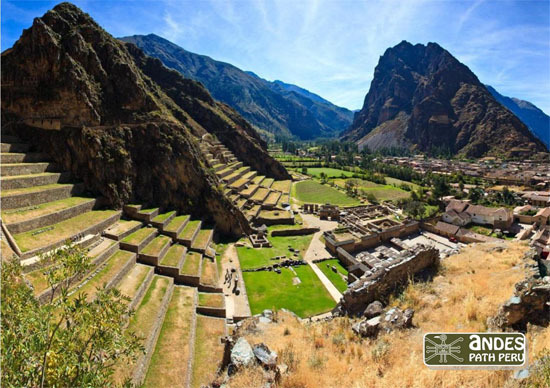 The star attractions of Ollantaytambo Full Day Trip, are the lofty Inca citadels Ollantaytambo and its surrounding areas as waterfall of Perolniyoq, Tunupa’s image in stone on the mountain Pinkuylluna, the ancient Inca build, terraces and its sanctuary. 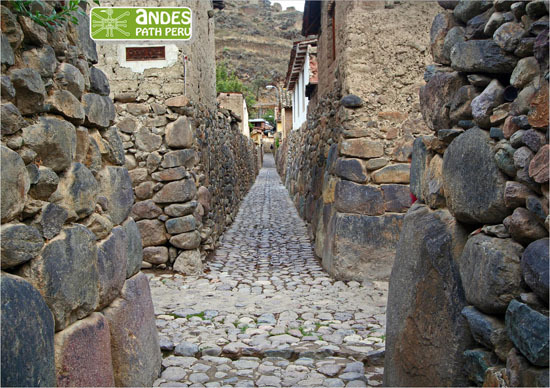 Andes path Peru, offer you Ollantaytambo Full Day Trip, less whirlwind tours and less crowded tourism in Ollantaytambo, Ollantaytambo Full Day Trip worth it! 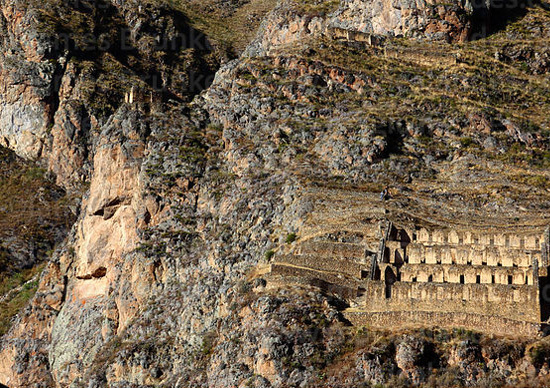 Ollantaytambo Full Day Trip, would be a great inclusion in your Peru vacation! Less crowded for tourism and to have more chances and enjoy the dramatic scenery only for us! The valley is also packed with other Inca sites. Trekking routes are deservedly gaining in popularity. Approximate walking time: 5 ½. hours. We leave Cusco very early in the morning from your Accommodation, adjust to its altitude by exploring through the Vilcabamba valley, We start 4:00 in our private vehicle driving toward Mollepata Village, the north site of Cusco, arriving then to Mollepata (2803M,9196,194Ft) after 2 hours approximately for our breakfast then a short drive till Soraypampa (3900M,12795,28Ft ), start point to hike toward Chakana(Inca sign of great value),(4790M,15715,22Ft) almost 3 hours hiking then turn to Humantay lake (4300M,14107,61Ft). Our guide provides you some recommendations to start the trek to Chacana (mist area) and Humantay Lake located in the Vilcabamba mountain range and close of Salkantay. 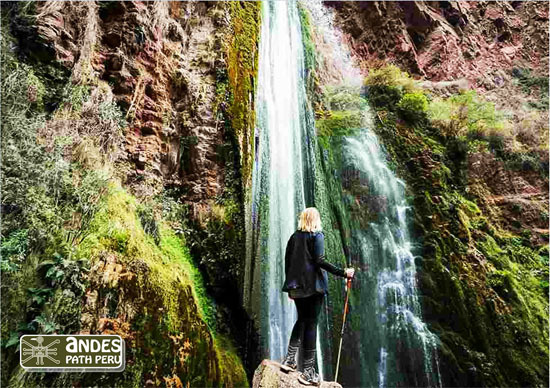 We start the hike to Chakana for approximately 3 hrs; surrounding a peaceful landscapes of Chakana area and the amazing views of Vilcabamba mountain range, Salkantay and Humantay then we reach Laguna Humantay we enjoy the beautiful turquoise lagoon. We continue 1.1/2 hours hiking on our way back to Mollepata our lunch spot then our conboy return us to Cusco around 7:00 p.m; We drop you at your hotel.